Red House Garden: What do Hummingbirds do in a Downpour? Sweet captures, Indie. I haven't seen a hummer for a couple of weeks, I think ours have headed out, along with the warblers. Currently, the underbrush is filled with white-throated sparrows. I love to hear their calls. I read a novel, about finding a comatose hummingbird. Breathing on it gently, and it revived to fly off. They must burn off a lot of energy!! Most of their favorite flowers are finished here. I think they picked up a tailwind last week. I will welcome them back in late April or May! Great videos of this sweet little bird. Wouldn't it be lovely to simply fly south every winter? 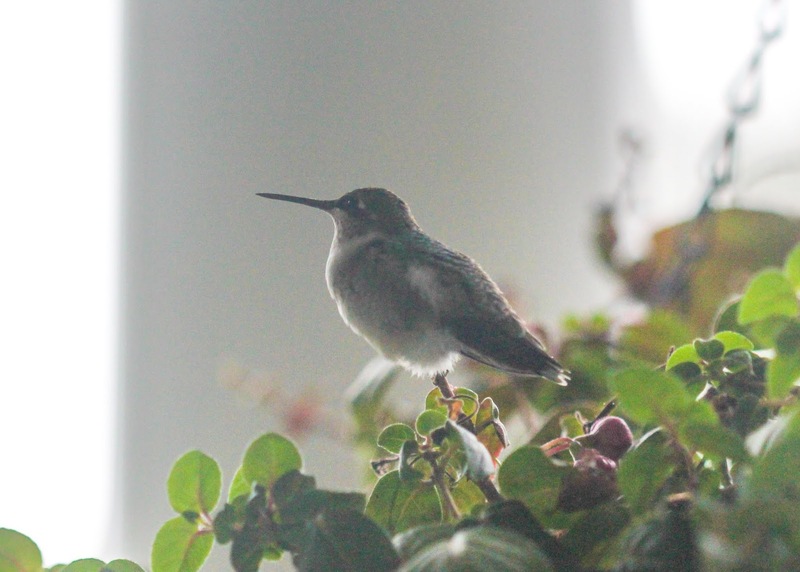 We have one species, the Anna's Hummingbird, that has decided over the last couple of decades, to stay here for the winter. 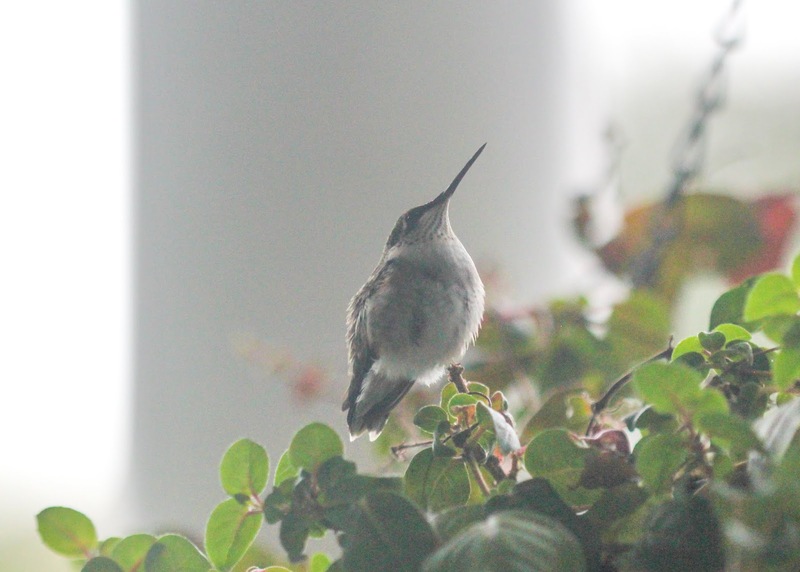 All our hummingbirds have migrated south by now. Great videos, and now I know how they deal with the rain. Fantastic photos, Indie! There was a documentary on PBS sometime ago about hummingbirds that was fascinating. I learned a lot about these favorites of mine, but I didn't remember what they did in the rain. It's worth watching, if you haven't already seen it. 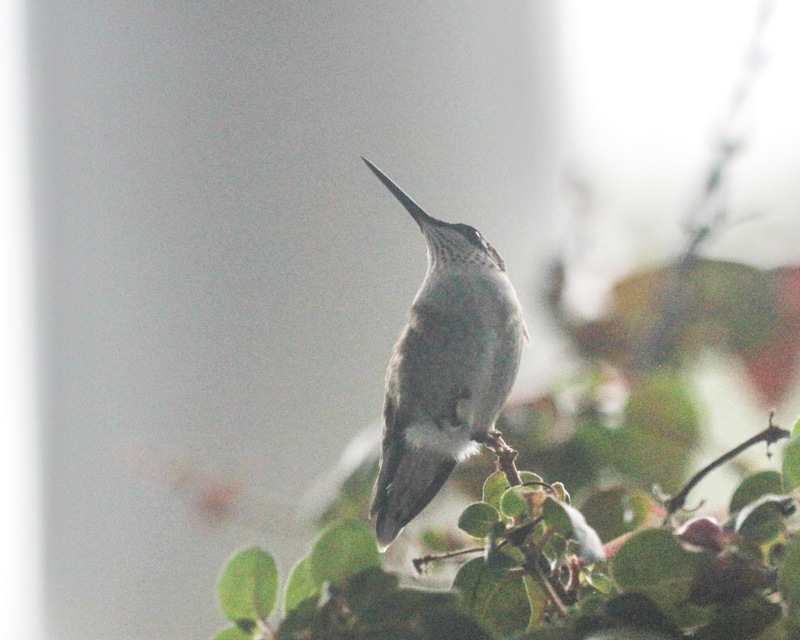 I haven't seen any hummers here since Sunday when there were two juveniles--I think--still flying about the garden. With the temperatures due to drop drastically tomorrow, I certainly hope they're well on their way to someplace warm. Very interesting, liked your movie shots. AH, if only we had Hummingbirds.